TESLA MOTORS INC (TSLA) was founded in 2003 by a group of Silicon Valley engineers who prove that electric vehicles are awesome. Tesla Motors Inc (TSLA) design, develop, manufacture and sell high-performance fully electric vehicles and electric vehicle powertrain components. They have operationally structured their business in a manner that they believe will enable them to rapidly develop and launch advanced electric vehicles and technologies. In addition, TSLA believes their electric vehicles are engineered by expertise, and their operational structure differentiates them from incumbent automobile manufacturers. Moreover, Tesla Motors uses proprietary technology, world-class design, and state-of-the-art manufacturing processes to create a new electric vehicle capable of highways. They used an innovative distribution model that is Company-owned sales and service centers. This approach allows them to maintain the highest levels of customer experience and they make sure that their customer needs are fulfilled. They believe their operational infrastructure provides them with a competitive advantage compared to ordinary automobile manufacturers. Tesla Motors Inc (TSLA.O), Tesla Motors, Inc. (Tesla), incorporated on July 1, 2003. The Company is also producing commercially an electric vehicle, the Tesla Roadster, aside from developing it’s Model S and vehicle manufacturing capabilities at the Tesla Factory. Tesla is designing, developing and manufacturing lithium-ion battery packs, electric motors, gearboxes, and components both for its vehicles and for its original equipment manufacturer customers. The manufacturing activities are manufactured at the companies electric powertrain manufacturing facility in Palo Alto, California and at the Tesla Factory. Moreover, the Company also provides services for the development of electric powertrain components and sells electric powertrain components to other automotive manufacturers. Tesla has provided development services and powertrain components to Daimler AG (Daimler) for its Smart for two and A-Class electric vehicles. The Company has received an initial purchase order for the development of a powertrain system for an additional Mercedes Benz vehicle from Daimler. 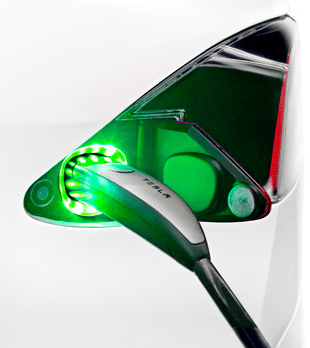 Tesla Motors Inc makes the best electric cars and electric powertrains in the world. Tesla technology has the most efficient path to future supportable energy. Hybrids no. Hydrogen no. Hype no. The Tesla electric drivetrain offers a radically different experience. The driver, the car, and the environment connect in ways they’ve never connected before. On the other hand, the goal of Tesla is to increase the world’s transition to electric mobility with a full range of increasingly affordable electric cars. further, the Company is bringing on the change in the industry. According to Tesla vehicles and EVs powered by Tesla are fun to drive and environmentally responsible. The Model S and Model X are the next steps in Tesla’s “Secret Plan” to increase the world’s transition to electric mobility. Model S is now in production! Tesla Motors Inc recognized its revenue from the sales of Model S and the Tesla Roadster, including vehicle options, sales in accessories and services. The Tesla Roadster was seen used in early 2008 as a car with no equal. The company has sold approximately 2,500 Tesla Roadsters to customers in over 30 countries, generally in North America and Europe. The production of Tesla Roadster flows at Lotus Cars Limited in January 2012. Tesla has announced their intent to develop a third generation electric vehicle, to which they refer as “Gen III”, to be produced at the Tesla Factory. In addition, they also intend to offer this vehicle at a lower price point and expect to produce it at higher volumes than their Model S. They expect that this vehicle will be produced in approximately three years. Moreover to their own vehicles, they also design, develop, manufacture and sell electric vehicle powertrain components to other automotive manufacturers. Tesla has provided development services and complete powertrain systems and components to Daimler for its Smart for two, A-Class, and B-Class electric vehicles. 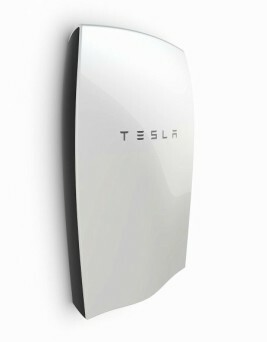 In 2013, Tesla developed stationary energy storage products for use in homes, commercial sites and utilities. They plan to ramp sales of these products in 2014. Tesla’s Batteries and Powertrains will help lessen global dependence on petroleum-based transportation and drive down the cost of electric vehicles. By cooperating with other car manufacturers, they hope to increase more electric cars on the road. PLUG IN Anywhere. Seriously. Where there’s an outlet, you can charge. The type of outlet or charging station will determine how fast you can charge. Every TESLA AND EV using their technology is a step towards making increasingly affordable electric cars available to the consumer. It’s more than electric, it’s Tesla. 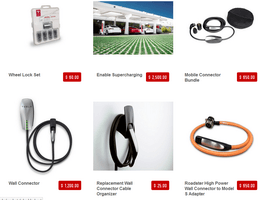 Tesla has a variety of accessories, here are some of their product accessories. There are certain risks that must be carefully considered, they may be unable to sustain their current level of production and deliveries of Model S or increase production and deliveries in line with their plans, both of which could harm their business and prospects. This statement was written in the financial report of Tesla on its annual 2013 SEC filings. The two most important people behind Tesla Motors Inc was the Chief Executive Officer and the Chief Financial Officer. Let us find out what makes them great. Elon has overseen product development and design from the beginning, including the all-electric Tesla Roadster, Model S and Model X. Transitioning to a maintainable energy economy, in which electric vehicles play a crucial role, has been one of his central interests for almost two decades, beginning from his time as a physics student working on ultracapacitors in Silicon Valley. Elon is the chief designer, overseeing the development of rockets and spacecraft for missions to Earth orbit and ultimately to other planets at SpaceX. Moreover, in 2008, SpaceX’s Falcon 9 rocket and Dragon spacecraft won the NASA contract to provide a commercial replacement for the cargo transport function of the Space Shuttle, which retired in 2011. The SpaceX Falcon 1 was the first privately developed liquid fuel rocket to reach orbit. In 2010, SpaceX became the first commercial company to successfully recover a spacecraft from Earth orbit with its Dragon spacecraft. SpaceX became the first commercial company to dock with the International Space Station and return cargo to Earth with the Dragon in 2012. Prior to SpaceX, Elon co-founded PayPal, the world’s leading Internet payment system, and served as the company’s Chairman and CEO. Before PayPal, Mr. Musk co-founded Zip2, a provider of Internet software to the media industry. 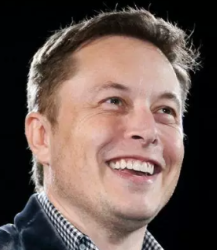 Moreover, Elon has a physics degree from the University of Pennsylvania and a business degree from Wharton. Prior to joining Tesla Motors, Deepak was the Controller of Small Cars Product Development at Ford with the goal of bringing several exciting fuel-efficient automobiles to the North American market. Previously, Deepak was CFO for Ford of Southern Africa, a $3 Billion subsidiary where he oversaw the finance, legal and IT functions. Prior to that, Deepak served as CFO for Auto Alliance International, a joint venture between Ford and Mazda with over $4 billion in revenue. His career at Ford included assignments in all aspects of the business, including Manufacturing, Marketing, and Sales, Treasury, Acquisition, and Divestitures. Before joining Ford, Deepak worked as an engineer for Kennametal, Inc. near Pittsburgh, PA for almost 6 years and developed two new ceramic composites cutting tools for machining of aluminum alloys in aerospace and automotive industries. Deepak holds a bachelor’s and master’s degrees in materials engineering from Banaras Hindu University and Northwestern University, respectively and an MBA from Carnegie Mellon University. 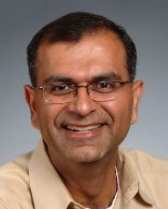 In 2010, following Tesla’s successful IPO, Deepak was named Silicon Valley Business Journal’s CFO of the Year. A solvent company is one that owns more than it owes; in other words, it delivers a positive net worth and a manageable debt burden. Let us review the liquidity of Tesla Motors Inc. The key ratios are the current and quick ratios. It shows that the average current ratio of Tesla was 1.61, although the rule of thumb is 2.0, it tells us that the company appears to have sufficient current assets to meet its short-term debt obligations when it falls due. In addition, the quick ratio was averaging 0.99, the rule of thumb is 1.0, meaning, Tesla has the capability of paying its short-term financial obligations using their liquid assets. Current assets by definition are convertible into cash in less than one year. You will notice that in 2012, the current ratio decreased by 50.26 percent from 2011, this is due to higher expenses associated the expansion of their network and service infrastructure as well as the growth of their business in general. It tells us further that the company is not struggling financially. Now, let us walk a little further and find out the solvency ratio of Tesla. Solvency ratio was averaging negative 0.90 because the company suffered losses for the past three years of its operations. From 2010 to 2012, Tesla is having a hard time meeting its long-term debt. Although the ratio was negative, the yearly trend shows a favorable improvement. In 2013, the ratio was positive at 0.05, meaning its net income plus depreciation and amortization were greater by 5 percent against its total debt or in other words, the ratio in 2013 has increased by 1,492 percent from 2012. Therefore, it means that Tesla has now the ability to meet its long-term debt. In addition, the leverage ratio was averaging 1.44 or 144 percent for the past 4 years. It means that Tesla has 144 percent total debt against its shareholders’ equity. In other words, the company is using more debt or 44 percent above its shareholders’ equity as part of its capitalization structure. Since borrowing money is very common in a capital-intensive company such as automobile manufacturers, Tesla is using debt almost half above its equity for its capital investments. Moreover, the financial leverage ratio was averaging 3.41, it tells us that total assets were 341 percent against shareholders’ equity. The table above shows that the revenue trend from 2009 to 2013 was 1,697 percent increased. On the other hand, although, net income was negative for the past 5 years, 2013 shows a favorable result with an increase of 435 percent from 2012. During 2012, Tesla Motors Inc has suffered a large loss of $396 million, a little more than half of that in 2011, because of the expansion in retail network and the launching of Supercharger network in California which brought additional expenses. However, despite the negative earnings, the growth in 2013 was satisfactory. 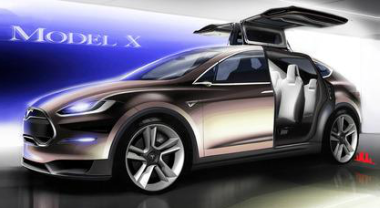 Tesla shows the possibility of profitability in the future as they intend to commence deliveries to China in the spring of 2014. In addition, they plan to significantly expand production capacity for Model S and Model X, and various plans they intend to do in the succeeding years. This indicates that Tesla Motors Inc has the capacity to generate more revenue in the future. Let me guide you another step in the profitability ratios of Tesla Motors Inc. The gross margin of Tesla Motors Inc was averaging 19 percent. To explain further, the cost of goods sold was averaging 81 percent, these are the expenses required to manufacture the products. The operating margins were negative, however, the ratio was improving year over year. The operating margins, not only include the cost of goods sold but also the selling and administrative expenses as well as depreciation. It is the income associated with the ongoing operations of the company’s core business. Tesla’s net margins were also negative for the past 5 years, however, the ratio was favorably improving. Since Tesla Motors Inc is young and in the process of developing its products, their cost of revenue was high. It is anticipated that in 2014 its net income would be positive and will show a favorable result due to its annual trending. The cash flow margin of Tesla was negative from 2009 until 2012 due to its negative net earnings. However, in 2013, it shows a positive sign of 12.82 percent. The free cash flow and operating cash flow was also negative from the past 5 years, except in 2013, where the operating cash flow shows a positive sign of $258 million. Moreover, during 2012, the company has the highest loss from its 5 years of operation due to the expansions and launching of Supercharges network expenses, aside from these expenses they also incurred significant amount in advertising expenses. Although Tesla Motors Inc suffered losses from 2009 to 2012, 2013 shows a favorable sign of improvement. For a young growth company, it is anticipated that the first few years of its operation will be a loss or breakeven. It indicates that the company is capable of generating revenue from its production and it will be sufficient in the next succeeding years. This investment valuation was prepared in a very simple and easy way to evaluate a company for business valuation. My basis for this valuation is the company’s five years of historical financial records, the balance sheet, income statement, and cash flow statement. Discounted Cash Flow (DCF) is a method of valuing the intrinsic value of Tesla Motors Inc. DCF calculates the value today based on cash projections that Tesla could make available to investors in the future. It is called “discounted” because of the concept that the value of the dollar to be received in the future is less than the value of a dollar on hand today. CF1 to CFn represent the expected cash flows (or benefits) to be derived from periods 1 to n. The discounted cash flow model is based on time periods of time of equal length. Because forecasts are often made on an annual basis in practice, we use the terms “periods” and “years” almost interchangeably for purposes of this theoretical discussion. The discounted cash flow indicates a present value of $247.9 million, at a rate of 15 percent. The calculated future value was $498.62 at the end of 5 time periods or 5 years. In other words, the future value of $498.62 is equal to the present value of $247.90. The future value of money is how much it will be worth at some time in the future. In other words, it shows how much an investment will be worth after compounding for so many years. There are two basic methods of valuing stocks. The most frequently used method is a relative valuation, which compares a stock’s valuation with those of other stocks or with the company’s own historical valuations. The book value growth rate of Tesla Motors Inc. was 20 percent from 2010 to 2013. The calculated book value in 5 years’ time was $13.48 per share at $1.6 billion. Moreover, the earnings per share and the return on equity were negative for the past 5 years due to negative net earnings, however, it is trending positively in a high percentage significantly in 2013. Overview, it indicates that Tesla Motors Inc is capable of producing more revenue, and has sufficient current assets to meet financial obligations. The company shows significant improvements year over year when it comes to its earnings and productions. Since, Tesla is a young, high-growth company, therefore, I recommend a Buy on the stock of Tesla Motors Inc.
After the above information was published, I perceived that the company needed to be revisited and some further insights needed to be explained. It was decided that it is better to continue with the analysis for a deeper aspect. This company updates are an additional analysis of Tesla Motors Inc with regards to its historical data. This analysis is significant to include with your investment decision on Tesla. Tesla Motors Inc has made significant progress in increasing its production level aided by its manufacturing, design and quality improvements and the strong efforts from their suppliers. The company expects production to increase from 600 vehicles per week presently to about 1,000 vehicles per week by the end of 2014 or from 31,200 vehicles to 52,000 vehicles annually, as they expand their factory capacity and address supplier bottlenecks. This was taken in the 2013 Tesla SEC filings. In consideration of Tesla’s working capital of 2013, it has a tremendous increased from 2012 to 4321 percent. According to Elon Musk in one of his interview, that, they planned to increase their cash and cash equivalent for the purposes of unanticipated issues or problems regarding the suppliers’ delay in the delivery of the materials needed in their production. The management will make it possible to maintain its full production capacity without delays and sacrificing the quality of their products. There are risk factors that could materially affect Tesla’s financial condition and future results. Here are some of the risk factors that Tesla Motors Inc is facing. 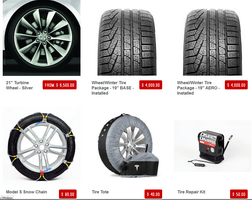 Model S contains numerous purchased parts which they source globally from over 300 direct suppliers, the majority of whom are currently single source suppliers for these components. If these single suppliers fail to deliver Tesla’s requirements on a timely basis at a competitive price, could suffer delays, possibility of losses, might incur higher cost of revenue, in which case, Tesla may not be able to sustain their current level of production and deliveries of Model S or increase their production as planned, which may affect the operating results of the company as they continue to focus on supplier capabilities and constraints. Tesla has not qualified alternative sources for most of the single sourced components used in their vehicles and they do not maintain long-term agreements with a number of its suppliers. Tesla’s ability to use their manufacturing processes as planned for volume production while maintaining their desired quality levels and efficiently making design changes to ensure consistently high quality since the production process is still maturing, due to the new product, new equipment, and new employees. 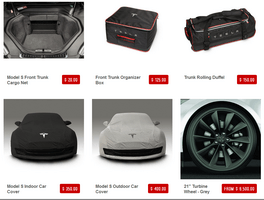 Moreover, they have limited experience in the high volume delivery of their Model S vehicles. They have just started their deliveries in Europe and may face difficulties meeting their delivery and growth plans in Asia and other right-hand drive markets later this year, which may impact their ability to achieve their worldwide delivery goals. Tesla has introduced a number of new manufacturing technologies and techniques. Model S has a number of new and unique design features, such as a 17-inch display screen, newly designed retractable exterior door handles and a panoramic roof, each of which poses unique manufacturing challenges. Model S production and deliveries will continue to require significant resources and they may experience unexpected delays or difficulties. It may harm their ability to maintain full manufacturing capacity for Model S, or cause them to miss planned production targets, any of which could have a material adverse effect on their financial condition and operating results. Moreover, in October 2013, they entered into an amendment to their existing supply agreement with Panasonic Corporation in order to address their anticipated short- to medium-term lithium-ion battery cell needs. While Tesla expects that this supply agreement, as amended, will provide them with sufficient cells for the next few years. They may not be able to meet their long-term needs, including for their third generation electric vehicle, which they refer to as “Gen III.” And other programs they may introduce, without securing additional suppliers or other sources for cells. If Tesla Motors Inc cannot secure such additional suppliers or sources, they might experience production delays, which could have a material adverse effect on their financial condition and operating results. Tesla’s production costs for Model S were high initially due to start-up costs at the Factory, manufacturing inefficiencies including low absorption of fixed manufacturing costs, higher logistics costs due to the immaturity of their supply chain, and higher initial prices for component parts during the initial period after the launch and ramp of Model S. As they have gradually ramped production of Model S, manufacturing costs per vehicle have fallen. I would like to cite the compensation of Tesla’s executives’ as I find it significant to include in this article. The information below shows the total compensation of Tesla’s executives in 2012, the 2013 report on compensation will be included in their 2014 financial statement. The total cash compensation is comprised of yearly Base Pay and Bonuses. Further, the total aggregates grant date fair value of stock and option awards and long term incentives granted during the fiscal year. On the other hand, the Other Compensation-like awards that are not applicable to the other categories. The board of directors of Tesla has a fortune worth $6.8 billion, deserves a generous incentive package because the company wants to “appropriately reward the CEO’s previous and current contributions and to create incentives for the CEO to continue to contribute significantly”, gathered from Tesla’s SEC filings. The current ratio and the quick ratio of Tesla Motors Inc in the trailing twelve months 2014 were 1.04 and 0.72, respectively. Estimating the absolute value of a company’s stock is not an easy way to do because you have to consider a lot of factors. However, the discounted cash flow is one of the methods that some analysts commonly used to determine stock prices in a different and sound way. Further, I review the trend in the company’s historical five-year financial data and its ability to produce or manufacture its products. And, I came up with the following figures presented in the table below. Slowly, I will walk you through step by step process on the explanation and interpretation of the data. The above table shows the calculated projected quarterly 2014 revenue of Tesla Motors Inc. According to Elon Musk, the CEO of Tesla Motors Inc, in its 2013 financial report presentation, that they are capable of producing 40,000 units or more of Model S by the end of 2014. Above shows, the projected total number of units was 42,250. The total projected revenue is $3.8 billion ends of 2014. Now, let us walk further, and compute the present value of $3.8 billion. Therefore, based on the table above, where the future value at the end of 2014 was $3,832,920,000. Now, we are going to calculate the Present Value discounted at 15 percent. The calculated present value of the projected 2014 cash flow is $3,332,973,913.04 discounted at 15 percent. In other words, the future value of $3,832,920,000 is worth $3,332,973,913 today. Moving forward, I have prepared a yearly projected cash inflow for five years. Therefore, the calculated present value of the projected cash inflows in the year 2019 of $23,543,711,100 discounted at 15 percent is worth $11,705,385,421.50 today. This is also called the discounted value or the current worth of future value. Total projected growth from 2014 to 2019 was 514 percent. Moreover, the present market price to date, May 5, 2014, was $210.91 per share. If we divide the discounted cash flow value with its present number of outstanding shares, the fundamental or intrinsic value is $98.36 per share. The stocks of Tesla are overvalued by 114 percent. In valuing a young high growth company, in most cases, the results will give us an overvalued price. FCFE is often used to determine the value of a company. It is a measure of how much cash is available to the equity shareholders’ after all expenses, reinvestment, and debt is paid, and a measure of equity capital usage, according to Investopedia. FCEE = Cash from Operations – (Capital Expenditures – Depreciation) + Net Borrowing. The table below is the results of my calculations, in which I have used the alternative. Let us find out the results. The free cash flow to the equity of Tesla Motors Inc was improving year over year. It shows that the company is managing its resources effectively. In addition, it tells us how well Tesla is managing its debt load. Tesla’s first two years, 2009 and 2010 shows negative results, which imply that Tesla is in the early stage of a growth outbreak. Hence, the succeeding years, 2012 and 2013 increased dramatically by 160 and 46 percent, respectively. The company’s sources of cash include cash from the deliveries of Model S, customer deposits, the sale of regulatory credits. And cash from the provision of development services and sales of powertrain components and systems. Due to problems incurred recently regarding some suppliers’ inability to supply on time. The reason why Tesla planned to have adequate sources of liquidity to continue on with their current plans. Moreover, to fund their ongoing operations, continue research and development projects, and for expansions. BYD was established in January 2003 and headquartered in Shenzhen, China. The Company specializes in IT, automobile, and new energy. Further, BYD is the largest supplier of rechargeable batteries in the globe. Moreover, it has the largest market share for Nickel-cadmium batteries, handset Li-ion batteries, cell-phone chargers, and keypads worldwide. Furthermore, HK. BYD IPO price is HK$10.95 per share. It was the highest IPO price among all of the H-share companies at that moment. Here is some basic information on BYD Company Ltd. The current price of BYD was $5.38, it is lower by 88 percent against its total value of $43.52. 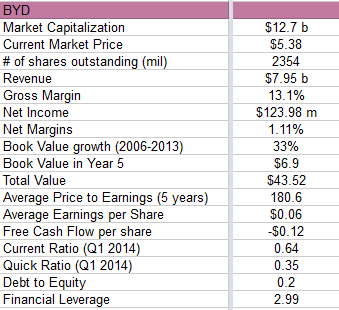 The stock price of BYD was undervalued. However, its liquidity ratios were very low. Consequently, it indicates that BYD is having a hard time paying its short term and long term financial obligations. In addition, its debt to equity ratio was 0.20 or 20 percent. Moreover, the calculated book value in year 5 was $6.90. Tesla Motors Inc is growing very fast. The market is anticipating a $3.65 billion revenue at the end of 2014 with low profits. For long-term shareholders’ it will not be easy to forecast whether they will be able to make a decent return. For the reason that the market somehow can bake the stock regardless, they will make a good profit or not. However, for short-term investors, Tesla may be an appropriate investment.